Available for $595 + $120 per year, Optional Field Manager performs operations on a Sage 300 database involving optional fields. Deletes old optional fields. Delete Optional Fields. Delete fields that are no longer required from a Sage 300 database. A selected optional field will be completely deleted from all tables with an option to remove the optional field definition from common services. Rows are deleted and counts are updated appropriately. Add Optional Field Values. When a optional field is added in Sage 300, table rows are not populated with an initial or default value. If the optional field is required, some operations cannot be performed until a value is present. This add operation provides such a value for all rows in a table or tables without affecting existing values. 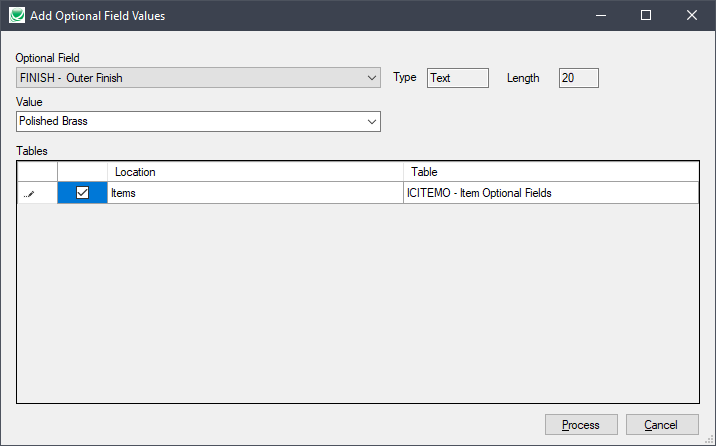 This operation is available for master file and setup tables, not for transaction tables. • Deletes old optional fields with an option to retain common services definition. • Sets missing optional field values, preserving existing values. • Supports all optional field types: Text, Amount, Number, Integer, Yes/No Date and Time. • A single executable program works with all platforms.